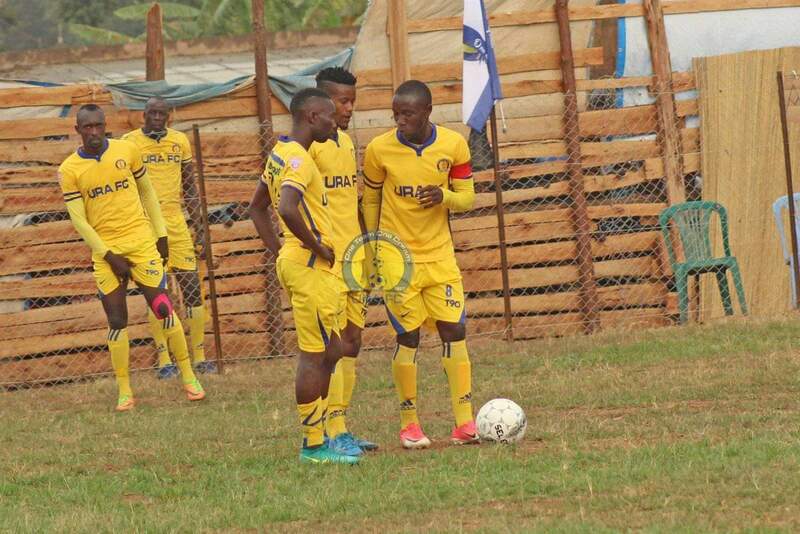 NAMBOOLE – URA FC missed a chance to move third on the StarTimes Uganda Premier League table following a 1-1 draw at home to Bul FC. In the only game played on Friday, the Tax Collectors raced into an early lead, with January signing Cromwell Rwomothio tapping in from close range. The former Paidha Black Angels Captain was in the right place at the right time as he converted 5 yards from goal after he was played in by a delicious Peter Lwasa low cross from the right inside the opening minute. URA looked to be up to the game and on 10 minutes, Patrick Mbowa saw a header off Said Kyeyune’s corner pushed away to safety by Hannington Ssebwalunyo in Bul’s goal. At the other end, the visitors had their first chance on at goal when Pierre Kambale rattled the wood-work off an out-swinging corner. The chances were coming thick and first as moments later, Lwasa ran through on goal, one on one with the keeper but it was Ssebwalunyo who came up on top, saving the striker’s effort which was bound for goal. Despite creating most of the opportunities in the first half, URA had to settle for only a one goal caution at the sound of the halftime whistle. In the second, BUL started imposing them selves was with Man of the Match, Yunus Sibira and Patrick Ssembuya taking charge of the midfield. BUL was once again denied by the woodwork when Ezekiel Katende’s ferocious strike rattled the crossbar in the 54th minute. At the hour mark, the visitors finally got their reward as Richard Wandyaka scored against his former employers to level matters. A fine delivery from Umaru Mukobe off a free kick down the right flank found Wandyaka unmarked in the area and he headed home past URA goalkeeper Nafian Alionzi. The two teams eventually settled for a draw in the end, the 12th for URA FC this season. The tax collectors remain 4th with 39 points after 23 rounds while BUL are still 5th with 36 points.